As you know, I spent almost two years living in Mexico City. I worked, played, and made a life there before deciding to return to the U.S. – what I affectionately refer to as Gringolandia – two months ago. 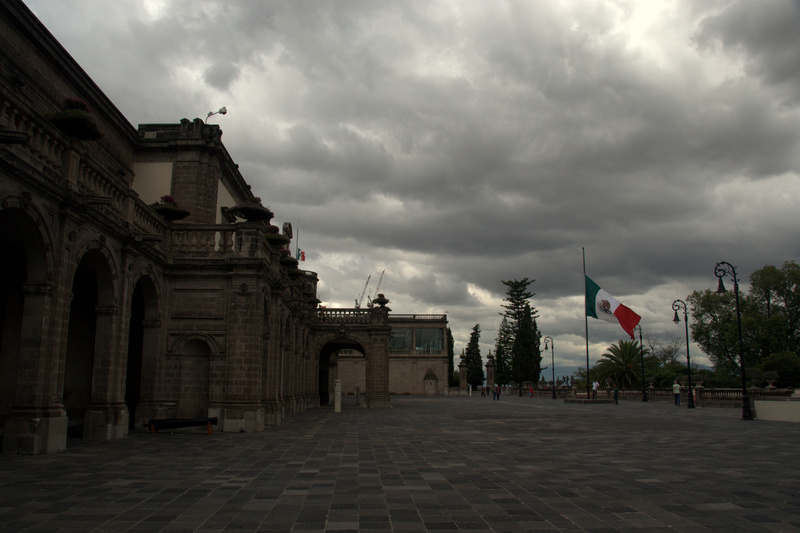 To many – most – people, Mexico City might seem like a strange choice for a place to live. While I had spent considerable time in and around Mexico DF before actually moving there (I didn’t enter into my decision to move there lightly), it was nevertheless a life choice rife with surprises and unexpected challenges. If you’ve followed this blog for some time, you may have heard some of this before. Last week, however, I stumbled upon a similarly-themed blog post from The Paper Planes Blog about expat living in Thailand. Her FAQ-themed entry – and her entire blog, in fact – is insightful and fun, and it inspired me to write something similar – if inferior in quality. I promise to keep each topic short and to the point. Q: Why did you originally move to Mexico City? A: It all seems like so long ago, but I moved there for love, and also because I was hankering to give the whole “expat living” thing a try. Q: What did you do with your stateside possessions after you decided to move? A: I gave dozens of books to the local library and donated several boxes of used clothes, VHS tapes, and audio cassettes to Goodwill. I rented my car to a friend in need, left a few old pieces of furniture behind, and moved everything else into a storage unit. Q: How did you find a place to live? A: My girlfriend researched several places in various neighborhoods that were well-located. I made a separate trip to look at some of them and decided on one that I liked. I signed a six-month contract and continued renting on a month-to-month basis after that. Q: How much was your monthly rent? A: I paid MXP $6,500, which is about USD $450. All utilities were included, as well as internet. My apartment had two small bedrooms but no laundry facilities. Q: Is Mexico cheap in general? A: It is cheap in many regards. Public transit and street food come immediately to mind. High end clothing labels and American chain restaurants are considerably less cost-efficient. Also remember that wages are low. Q: Did you speak Spanish? A: I spoke “Spanglish.” My efforts to learn proper Spanish were never fully successful, and are chronicled here. Q: What did you do for work? A: I was an English teacher. Q: I hear Mexico is dangerous. Did you feel safe? A: Most of the time, yes. Mexico City – and the country in general – receives a lot of negative press, but petty crime and armed robbery is generally down from, say, 20 years ago. That being said, I was robbed at gunpoint one unfortunate Friday evening. You can read about it here. I grew an eye in the back of my head after that incident, but it’s also important to remember that bad things can happen to anyone, anywhere…not just in Latin American capital cities. Q: What about the drug war? A: The drug war is a terrible tragedy that will forever stain the legacy of past president Felipe Calderón. (As for the legacy of the country’s current president, Enrique Peña Nieto, it’s too soon to tell.) However, the related violence is generally isolated to the northern border cities and a few other places. Mexico City has a huge police presence and is not affected. Q: Will the tap water give me diarrhea? A: Ah, you mean the infamous “Moctezuma’s Revenge.” I only experienced one rushed toilet trip throughout my time there. The general rule is to always boil water before cooking anything. If you have a sensitive stomach you might want to be order your soft drinks without ice and be careful about sink-washed lettuce, but I never had any problems on either account. Q: Did you eat tacos every day? A: Not hardly. 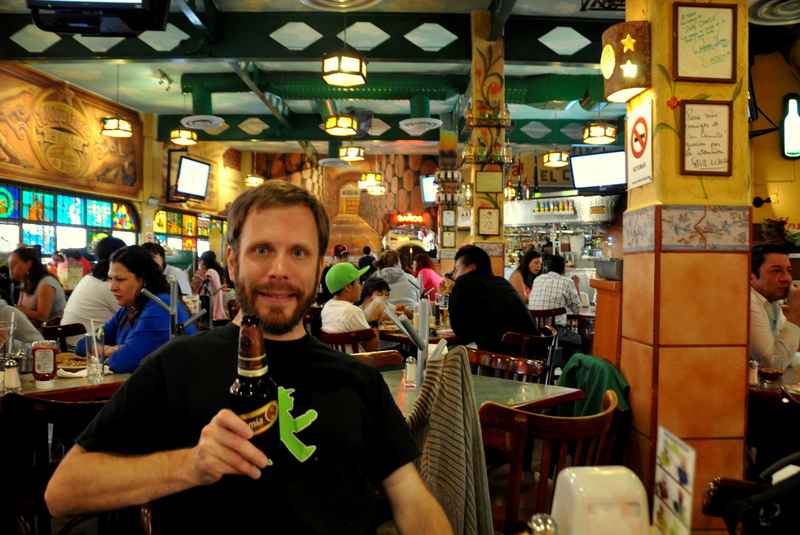 Mexico City is cosmopolitan and has food from all corners of the globe. Its tacos are incredible, however, and are just one of countless local delights. I wrote a savory post about Mexican cuisine that you might find interesting. A: My post about this particular question remains my most-read blog entry. The true reason is tough to put into words, but money and loneliness were factors. Q: Do you think you’ll ever move back to Mexico City? A: I don’t know. I miss Mexico City like crazy, though. Author gringopotpourriPosted on August 27, 2014 November 19, 2017 Categories Everything (Potpourri), MexicoTags FAQs, frequently asked questions, Living in Mexico City, Living in Mexico DF, renting an apartment in Mexico City, why Mexico? Great summary! I’m sure it must’ve been weird to try to sum up almost two years of your life into such a short Q&A. Thanks, segacs! Weird to be sure, but also a good writing exercise. Thinking about living in San Miguel as an alternative to the capital city? What if you knew the answers to the questions you have to ask? What about crime, health care, housing? What about cost of living and nearly 20 other issues? My new book shines a light on the subject. It’s called Living in San Miguel: The Heart of the Matter, and there’s a sample on my website or on Amazon.